Why would a middle-aged businessman who had never even spent the night outdoors, attempt to hike the entire Appalachian Trail? Bill Walker, a former commodities trader in Chicago and London, and an avid walker, had developed a virtual obsession to hike this historic 2,175 mile footpath in one hiking season. In the spring of 2005 he set off from his home state of Georgia, hoping to make it to Mount Katahdin in northern Maine before the arrival of winter. Liked the story, but the recording quality was fair. Jeff Alt takes you along every step of his 2,160-mile Appalachian Trail adventure. This entertaining journey includes bears, bugs, blisters, captivating characters, skunk bedmates, and hilarious food cravings. Alt walked more than five million steps in tribute to his brother, who has cerebral palsy and lives in a home called Sunshine. This trail adventure has inspired an annual event that has raised more than $200,000 for Sunshine. It includes hiking tips for the whole family. Have you ever wanted to visit Machu Picchu, or witness the Northern Lights? To explore remote landscapes where no boot has tread, no shutter ever snapped? 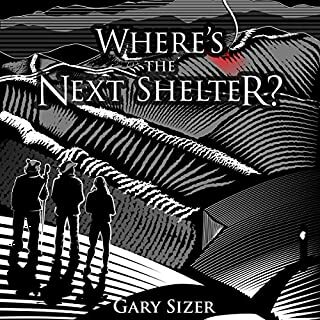 You can.... Before he became Green Giant on the Appalachian Trail, Gary Sizer was a Marine, a computer nerd, and a guy with a problem. No matter how much time he spends outside, it's never enough. Whether being thrashed by drill instructors at Parris Island or drenched by a squall in a high tundra, the same calming thought always prevailed: It's good to be outside. The book that will make you want to explore! When Niki Rellon fell 45 feet from the side of a Utah mountain in 2013, she thought she was going to die. She didn't, but the devastating injuries she suffered may well have put an end to her thrill-seeking outdoor lifestyle. But Niki is tougher than that. Not only did she bounce back, stronger and more determined than ever, but she took on a challenge which defied the odds and had many friends, family and medical experts advising against it. Now you can hear Niki's incredible story in Push On: My Walk to Recovery on the Appalachian Trail. I tried to "Push On" through this book. This is the true story of a young EMT and school teacher who found inner harmony on the Appalachian Trail. Stuck in a job he no longer found fulfilling, journalist Mike McIntyre felt his life was quickly passing him by. So one day he hit the road to trek from one end of the country to the other with little more than the clothes on his back and without a single penny in his pocket. Through his travels, he found varying degrees of kindness in strangers from all walks of life - and discovered more about people and values and life on the road in America than he'd ever thought possible. Told with sincerity, humor, and wit, Trespassing Across America is both a fascinating account of one man's remarkable journey along the Keystone XL pipeline and a meditation on climate change, the beauty of the natural world, and the extremes to which we can push ourselves - both physically and mentally. Like a well-crafted stage play, Just Passin' Thru delivers one suspenseful scene after another. But in this historic setting a store on the Appalachian Trail called Mountain Crossings the characters who show up are no fictional creations. They are the real-life stars of the author’s new life as a backpack-purging, canteen-selling, hostel-running, bandage-taping, lost-child finding, argument-settling, romance-fixing, chili-making man of many faces. Like any good drama, there are the good guys (and gals) and the weirdos, too. Some show up once (and that’s enough), and some appear again and again. Some are friends, and some dangerous. But all are united by two things: the author’s story-capturing talent, and whatever it is that lures them to attempt (or conquer) a 2,200-mile path that climbs and plummets from Georgia to Maine. ©2009 Winton Porter (P)2013 Audible Inc. 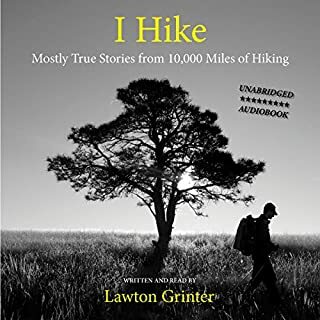 I enjoy hiking tales and heard about this book from another hiker. My past reads have been about hikers and their trail events. This book is about a man who bought an outdoor gear/ hostel establishment called Mountain Crossing. His store is a well known rest stop on the AT and has quite the following (I checked out their website & Facebook pages). This was a great "welcome to my world" book. He shares encounters he has had through the years with hikers and employees. I found these stories funny & captivating. The narrators voice made this an easy listen. You don't have to be a hiker to like this one - it's a great read! Just Passin' Thru? Come back and tell me more! Loved this book! It is not nearly long enough but what there is was absolutely charming. 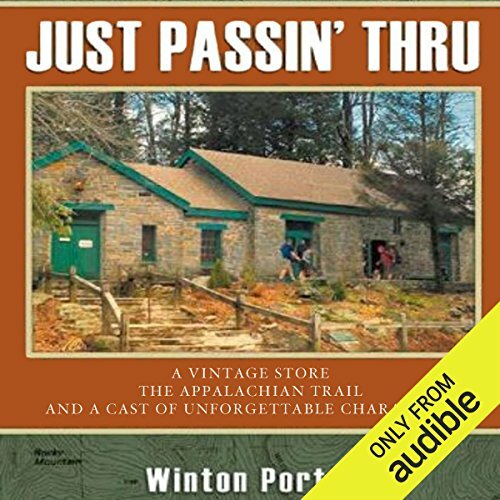 Winton Porter does a wonderful job of spinning the yarn of his years minding a store on the Appalachian Trail and the hungry and loopy hikers who show up at his store. I have always wanted to hike a hunk of it but sadly I live nearer the Pacific Crest Trail so must live vicariously through stories like this. The descriptions of the trail, the amazing characters who decide to take on the daunting hike and make the commitment to do it, and in many cases do it over and over, are delightful.I could actually picture them like I had been sitting on a stone bench in the sun with them. I love the guy on the roof with Oldham flute, just taking life in stride. I admire Porter's wife who just copes with the realities of living in a frigid old stone house year round and rolls with whatever happens. 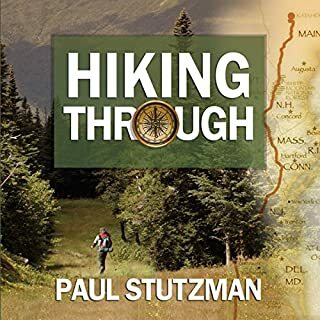 This book is a great introduction to the brotherhood and sisterhood of people that are taken/fascinated and addicted to the reality and the dream of the Appalachian trail. The narrator does a wonderful low key job of telling the story in a way that feels very real and like I imagine Porter's actual voice and delivery would sound. My only gripe? It was not nearly long enough? Where does Just Passin' Thru rank among all the audiobooks you’ve listened to so far? This is an amazing audio book. It has a great cast of characters. Billy Bumble Foot and Winton being my favorite. This is one of my favorite books i have listened to. What other book might you compare Just Passin' Thru to and why? I've never read or listened to anything like it. It did remind me of Empire Records, the movie, in a sense that the story wasn't about the store, but it was more of just a back drop to the lives and experiences of hikers, the staff, Winton and his family. I think it would be a great anime series, but that's just me. Have you listened to any of Jones Allen’s other performances before? How does this one compare? I have not listened to any other of Jones Allen's performances, but I wouldn't hesitate to listen to his work. He created voices for the characters. Winton, Sierra, and Billy. He nailed it. With out any spoilers I'd say the story of Lorac and her gift to Winton. I ordered this book looking for another hiker book, but found something much more. This book was funny, entertaining and had so many positive messages. This book will help you see things from a different perspective reminding "that it's not about the miles, It's about the smiles" and that life would be better if we all could just stop and capture the moments of our lives that do our heart good. To "smile and dance." The author brings to life many interesting and at times hilarious characters. A well crafted story line helps to keep the reader / listener engaged and wanting more. As a hiker and outdoorsman, I can relate to many of the situations described. I recoomend. this book to those looking for some situational adult humor blended with a few difficult and dynamic topics. What did you love best about Just Passin' Thru? I really liked the stories and accounts of everyday life on the AT. What was one of the most memorable moments of Just Passin' Thru? The author's account of running up Blood Mountain was very exciting. no but I never listen straight through. Yes. 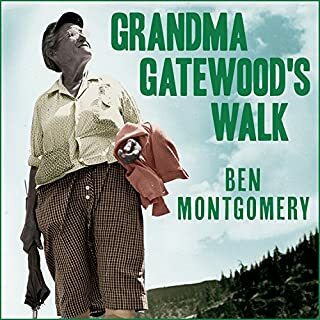 The narration was excellent, the stories interesting and overall, I was able to appreciate the care and concern Winston Porter had for those who walked their walk. When he relayed stories of the individuals he connected to and the love of his family. No. I enjoyed listening to it in stretches... kind of like a hiker takes the trail. This is the kind of story you want to hear about when talking about through hiking!!! Details of the people and places give you the feeling of being a part of the experience. Wonderful experience with the good and the bad being told. 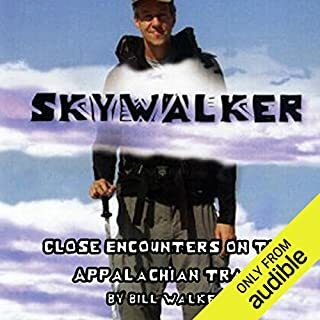 Out of all the books I've listened to about hiking this is bar far one of the best!!! Read it! Worth it!!! What made the experience of listening to Just Passin' Thru the most enjoyable? The characters that come across the trail. It is not like Wyld, but it is about hiking one of the US's big trails, and the people who do that. Can't compare. FIrst listen to him. Very nice. An adventure in meeting hikers on the Appalachian Trail. Really enjoyed his caring concern with hikers and their safety and the mistakes hikers make. Surprisingly entertaining and original nonfiction. 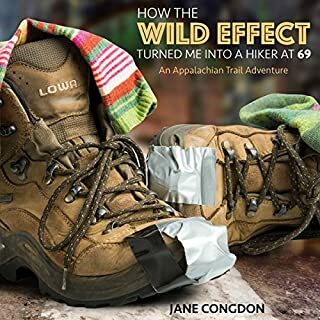 This is an unusual sort of narrative, although partly autobiographical, it is mostly about people who drift in and out of the author's life running a general store and hostel near the Georgia end of the Appalachian Trail. For Porter, it is kind of a spiritual adventure, living and rearing a family as life was lived in the distant past. His nonjudgmental approach to his customers and friends causes them to open up to him in intimate ways. He is neither naive nor overly cynical; he senses when he is being lied to, although on occasion, he is surprised to learn what skeletons some of his friends have been keeping in the closet. He's also a very good writer, with vivid descriptions of nature and people, and an excellent sense of timing. The narrative is enhanced by the excellent reading by Jones Allen. Enjoyed very much. Wish it were longer. Loved it. Wish it were longer. Loved the humor and characters. Made me feel good.